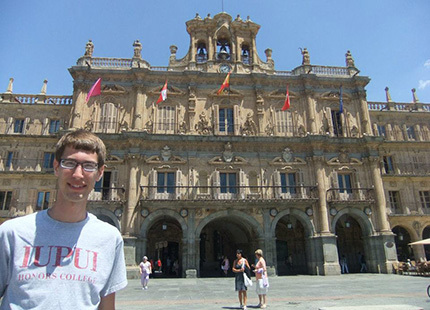 The IU-administered summer program in Salamanca focuses on language and cultural immersion from intermediate to advanced levels of Spanish. Participants enroll in classes through the Cursos Internacionales program at the Universidad de Salamanca. The program is led by IU faculty and includes homestays to foster cultural immersion outside of the classroom. A lively university city, Salamanca has numerous historic buildings and is comparable to Bloomington in atmosphere. have approximately a 2.75 cumulative GPA and at least a B average in Spanish. Note: All students who will have completed two or more 300-level courses in Spanish should review information and eligibility criteria for other programs in Spanish since this program is focused on language -- only conversation and grammar credit is available.